Director: Sofia Coppola, US, 2017, 94 mins. Director Sofia Coppola has given us a movie that is lovely to look at and acted with finesse by a top raft of actors. The script, by Coppola, is intelligent and even the length of the film is just right. Using both the Clint Eastwood film directed by Don Siegel in 1971 and the original 1966 novel by Thomas Cullinan as foundation, she brings the story to our screens in a new way. 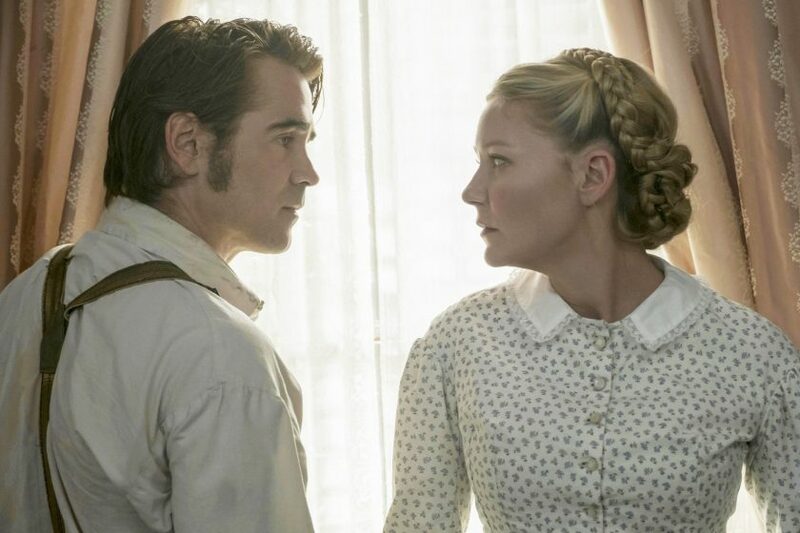 Set in 1864 during the US civil war, a badly wounded Union soldier, Corporal John McBurney (Colin Farrell), is found by a school girl (Oona Laurence) and taken back to the seminary run by headmistress Miss Martha (Nicole Kidman) and her assistant Miss Edwina (Kirsten Dunst). The adults and the female students soon succumb to John’s charms. Things turn rather nasty when John goes too far with sexually aware Alicia (Elle Fanning). Farrell manages to convey the personality of the soldier who has run away from his Unit, but who is also a man who is attracted by the young women he encounters. He can turn on the charm and if not actually seducing them, make them fall for him. Quiet Edwina (beautifully played by Dunst) is enticed by the possibility of leading a different life with John. She falls for his sweet words and is devastated when she slowly comes to realise that she is not the only one in his orbit. Elle Fanning as Alicia, a student on the verge of womanhood, is the most exited of the girls. From the beginning when she first sees John, she sets out to get him. A very attractive girl, she has little difficulty in drawing John to her side and then to her bed. Kidman, as Miss Martha, devises a horrible revenge on the soldier. Enlisting the help of her girls, she acts as though she is helping John, but them carries out a terrible act. All the actresses show just what they able to achieve with a top director. Each is a completely different person and Kidman, Fanning, Dunst and the rest of the cast give us wonderful portraits of the adults and young women at the seminary. With camera work, which is seemingly lyrical, but also shows the other side of the picture, Coppola manages to give us an engrossing and, once again, a first-rate movie.